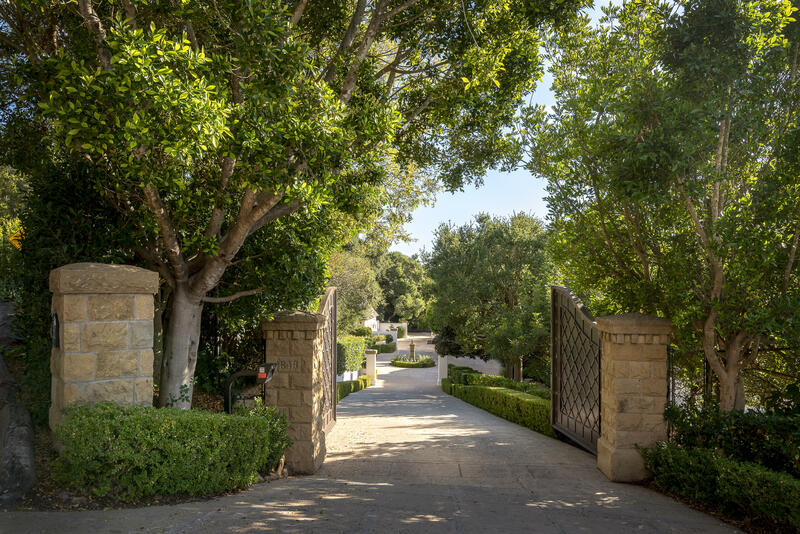 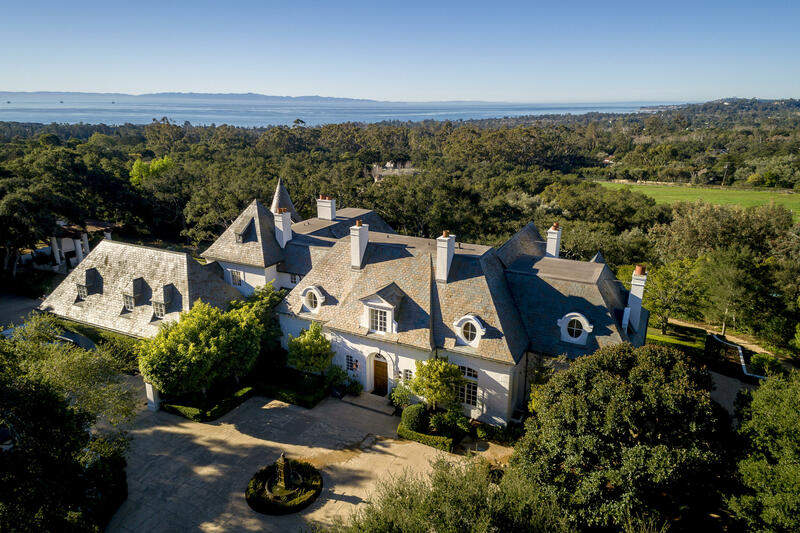 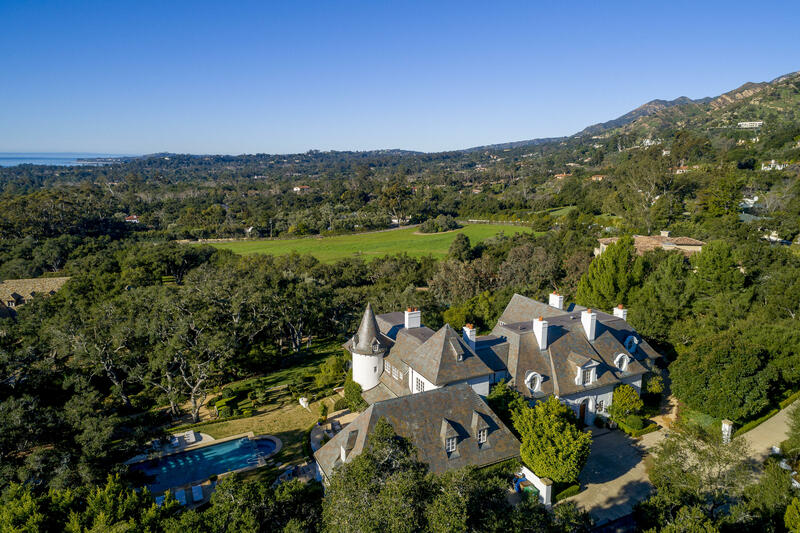 Exemplifying an idyllic Montecito lifestyle, this gated Park Lane estate is near perfection situated on animpeccably landscaped 1.9 acres. 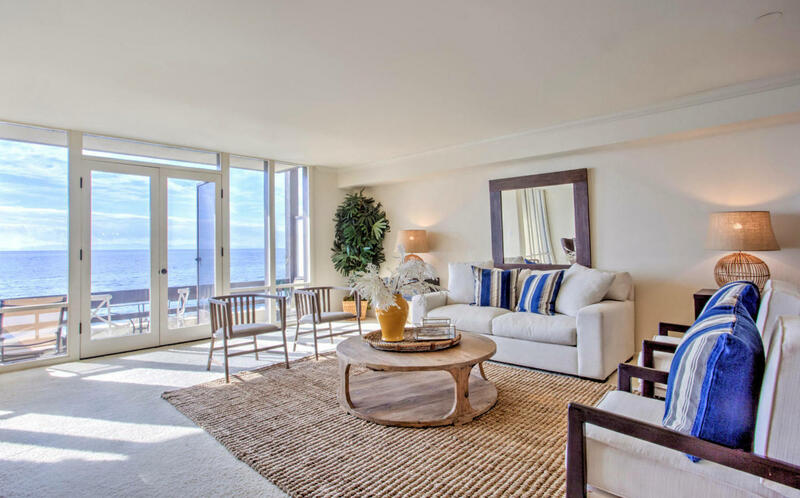 Extensively remodeled, the Mediterranean property boasts ocean and mountain views from nearly every room. 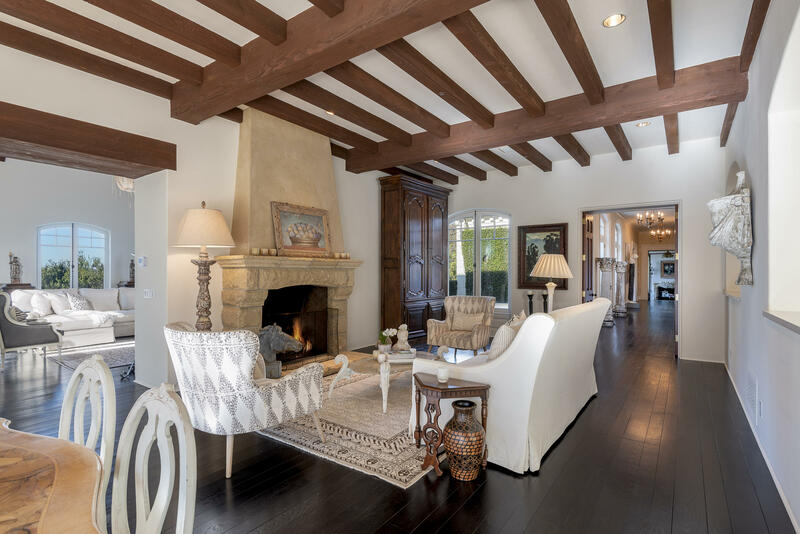 The impressive main level highlights the Mediterranean aesthetic, with towering wood beam ceilings, large windows and exquisite French doors which open to the beautiful gardens. 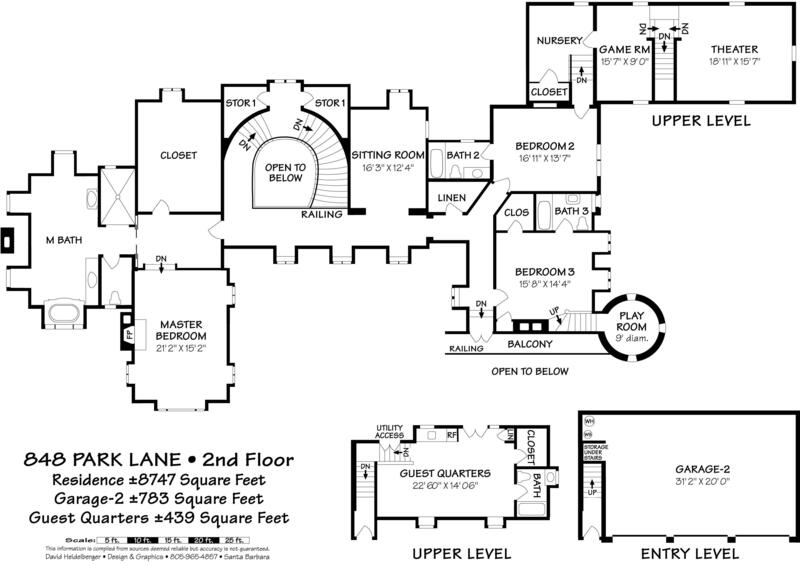 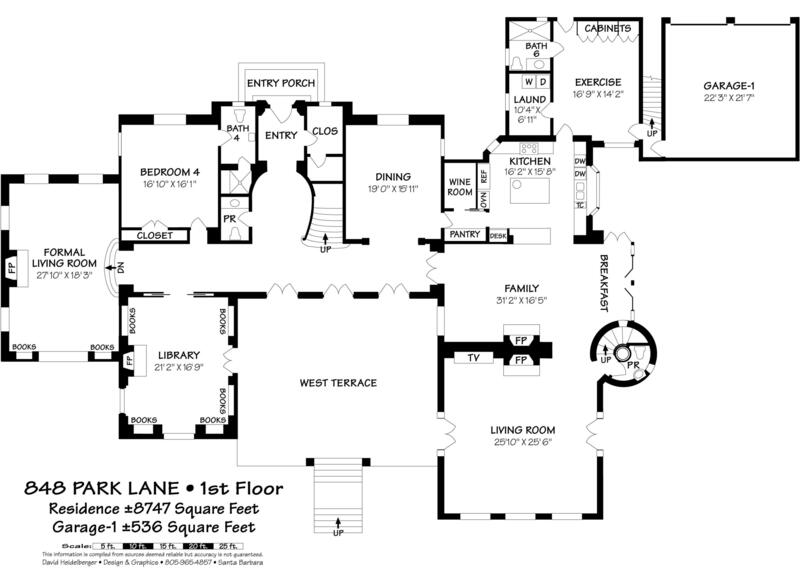 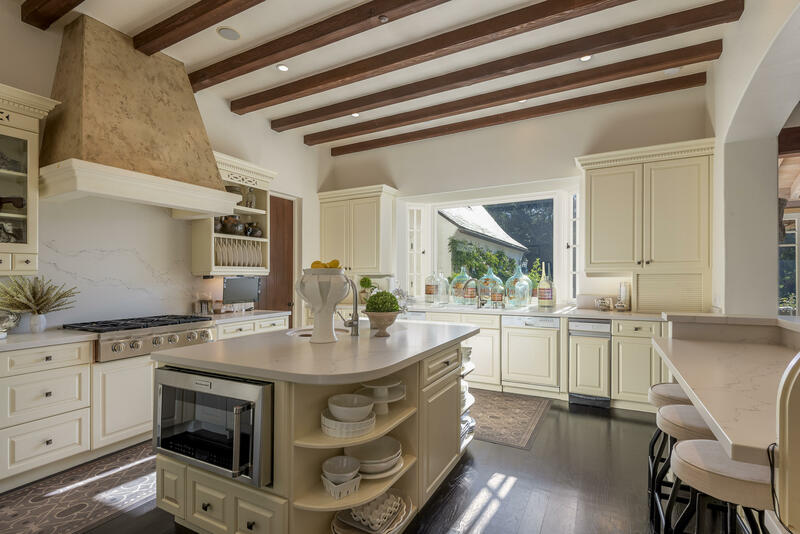 Sparing no expense, the kitchen features top of the line appliances, white marble counter-tops and a chef's island. 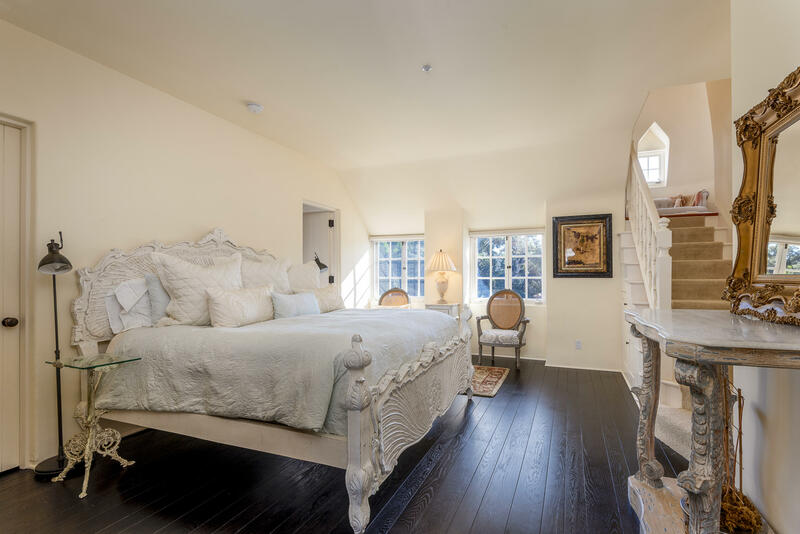 Upstairs the master suite is the perfect combination of luxury and comfort, featuring a cozy fireplace, private balcony with ocean views and a spacious on-suitenbathroom. 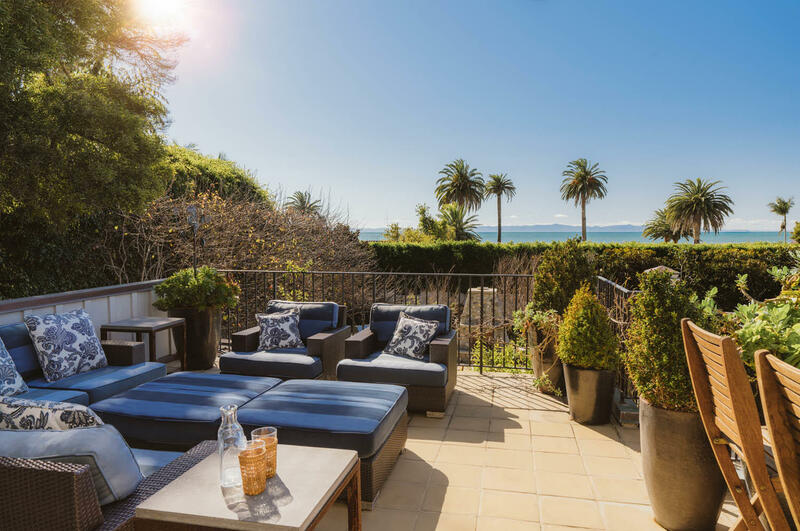 With a charming apartment and garage parking for five cars, this estate is equipped..... ....to handle a number of guests. 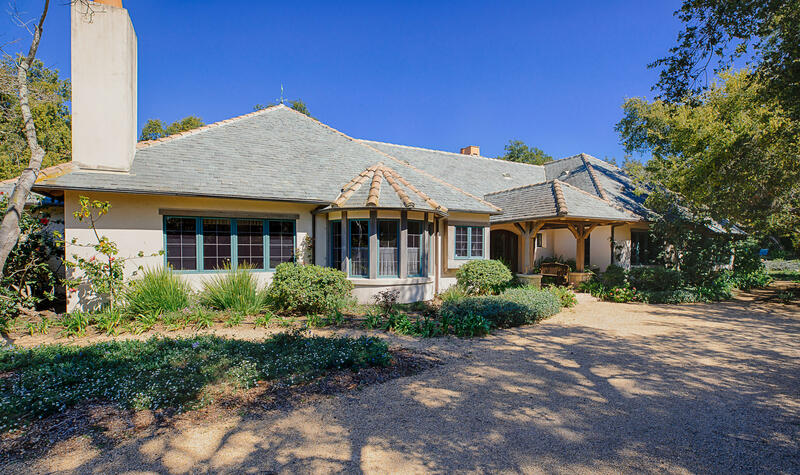 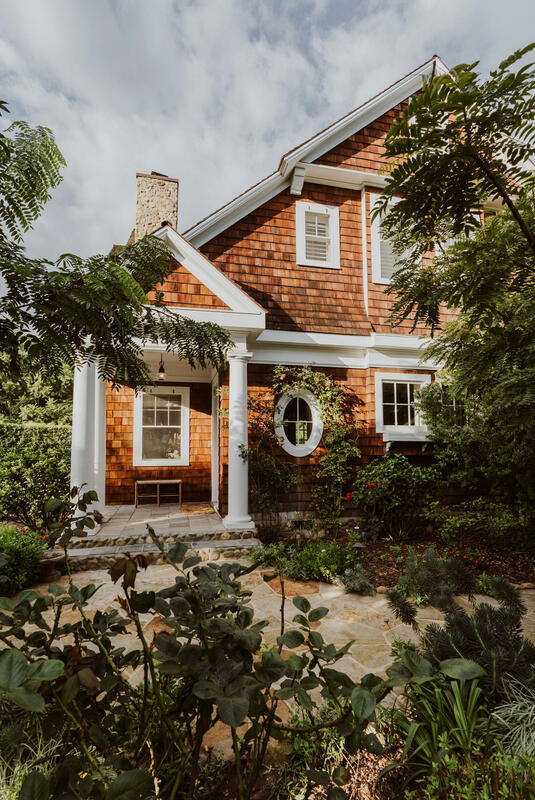 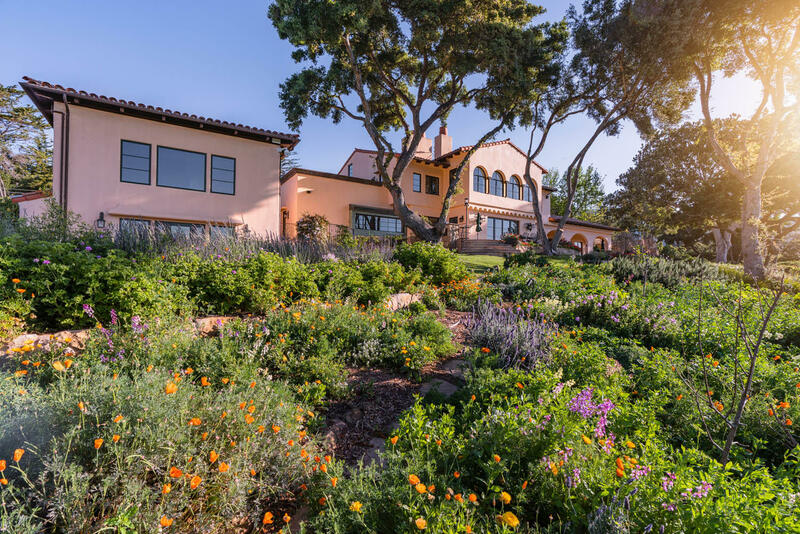 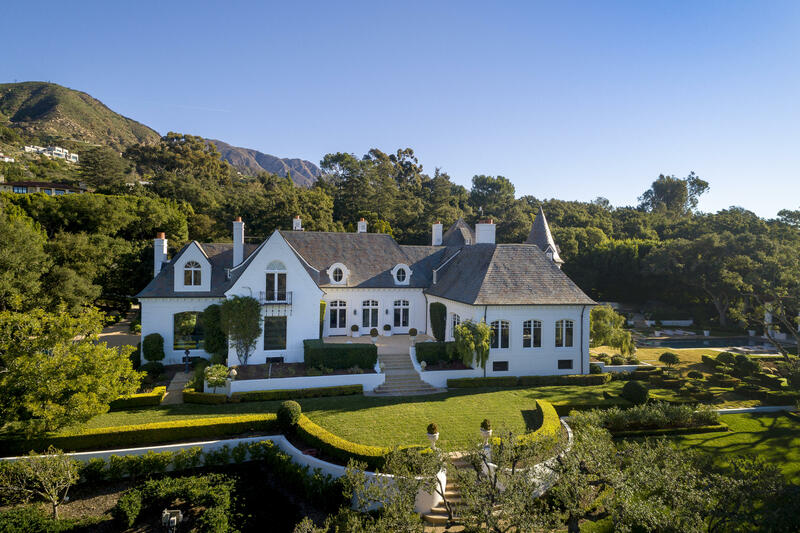 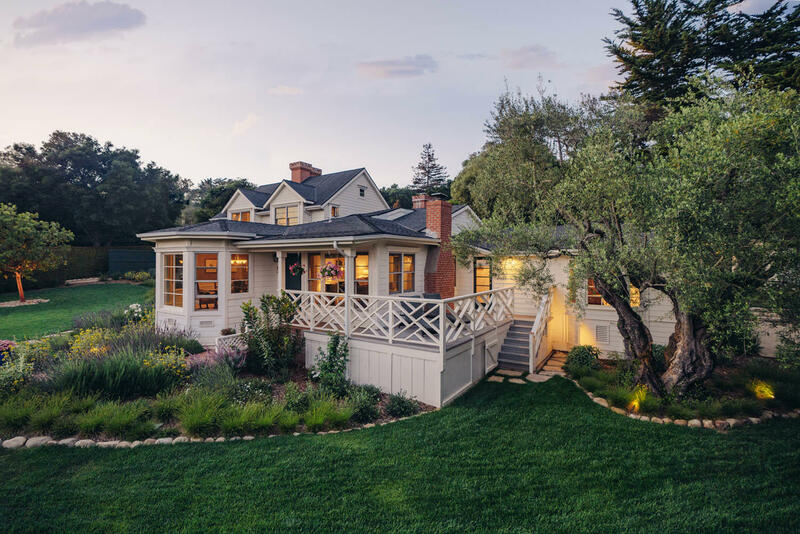 The elegance of the estate transcends the interior to the outdoors with its pristine gardens, mature oak trees, abundant fruit trees and winding walkways. 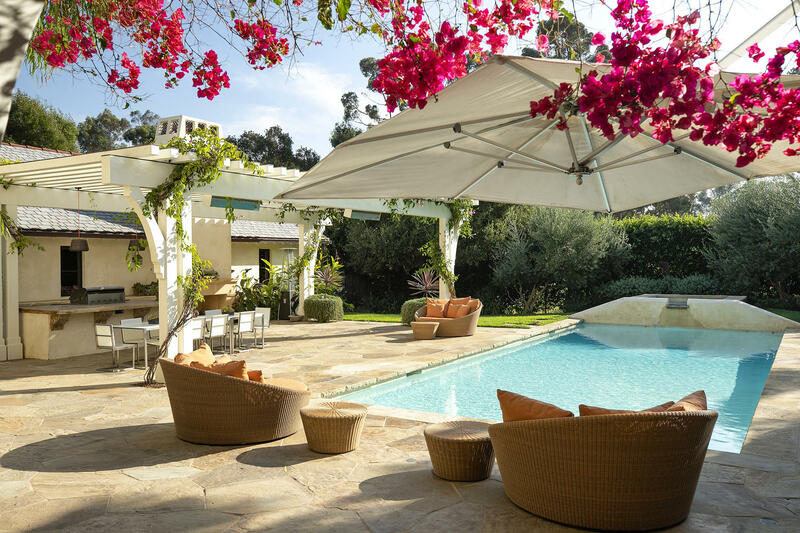 The outdoor fireplace, BBQ and gorgeous pool/ spa is the perfect space for entertaining. 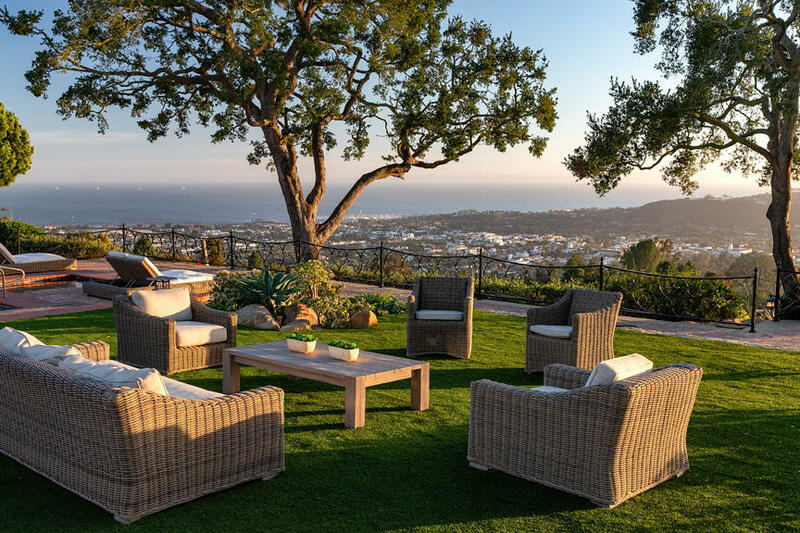 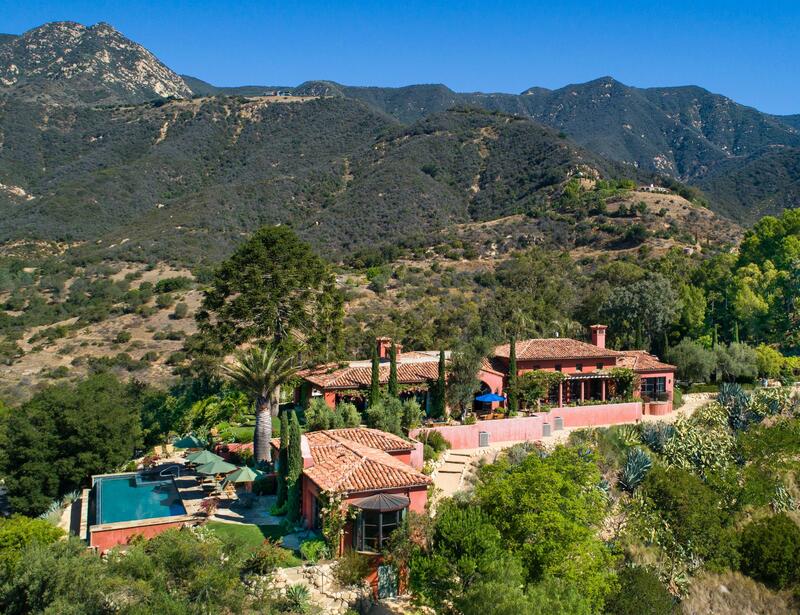 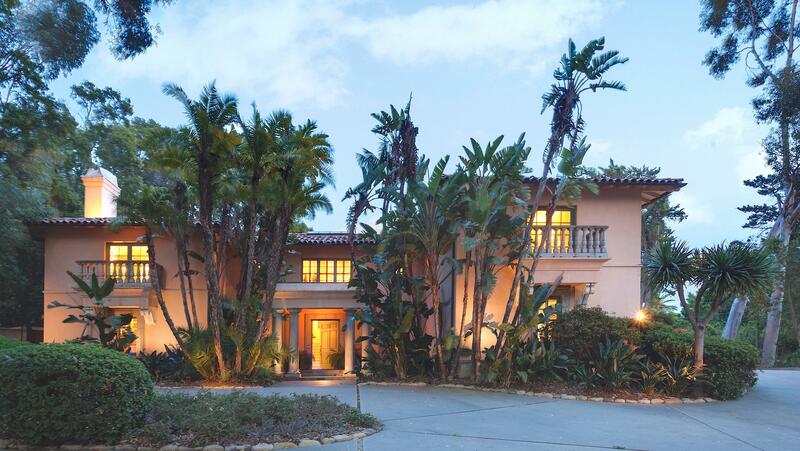 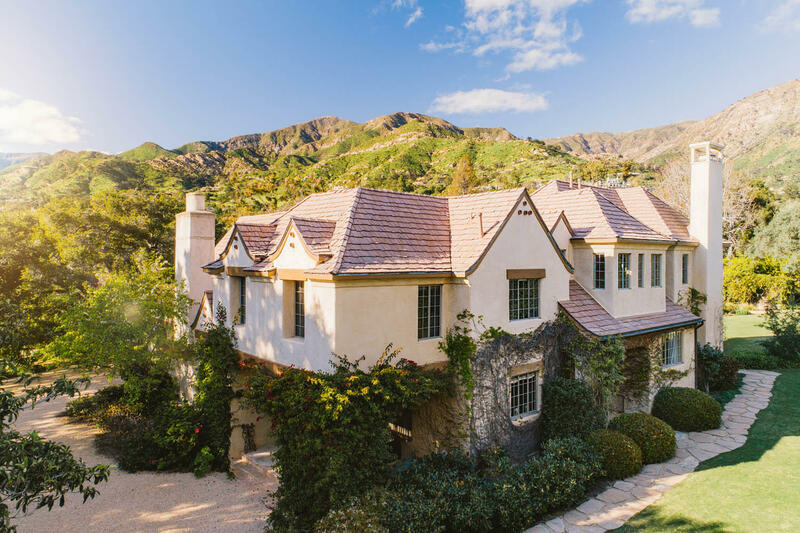 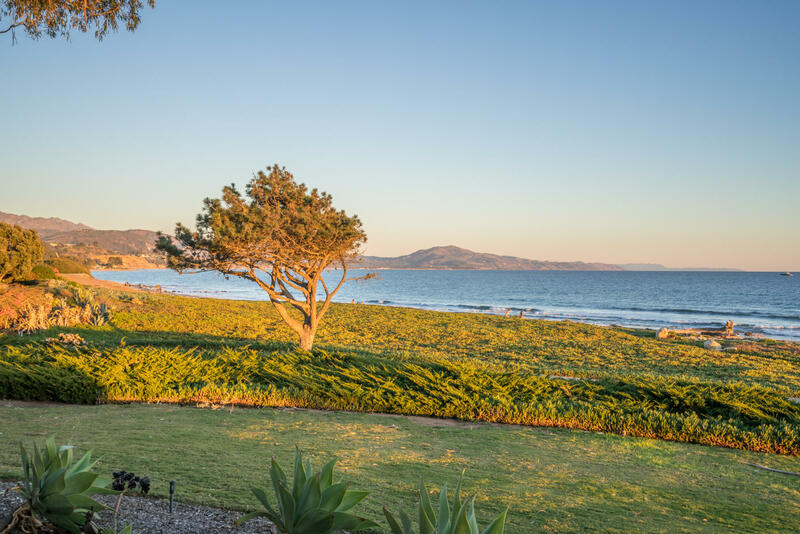 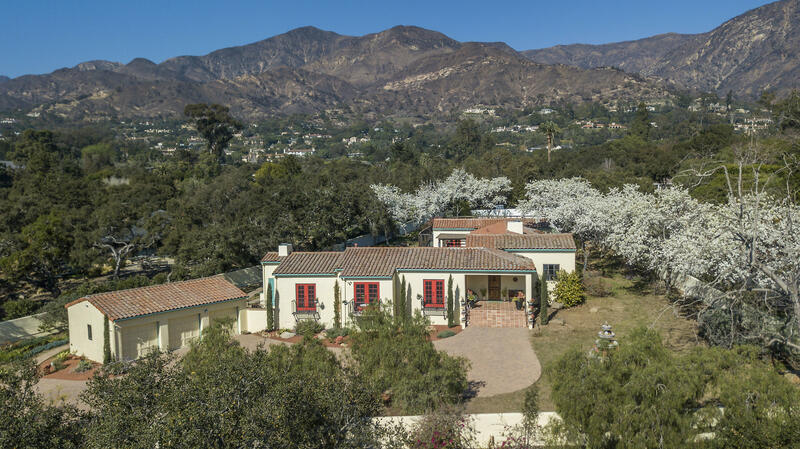 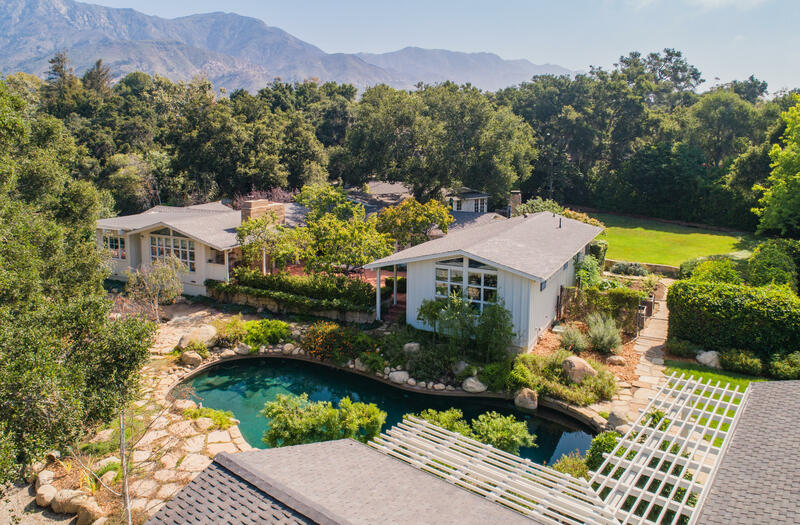 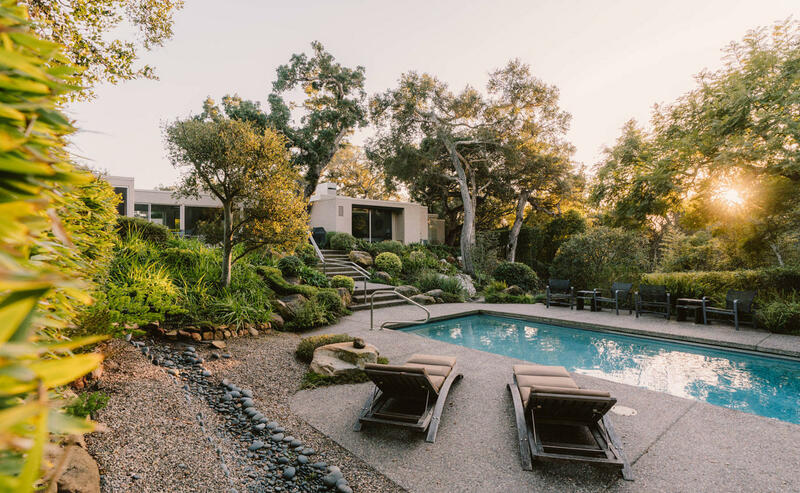 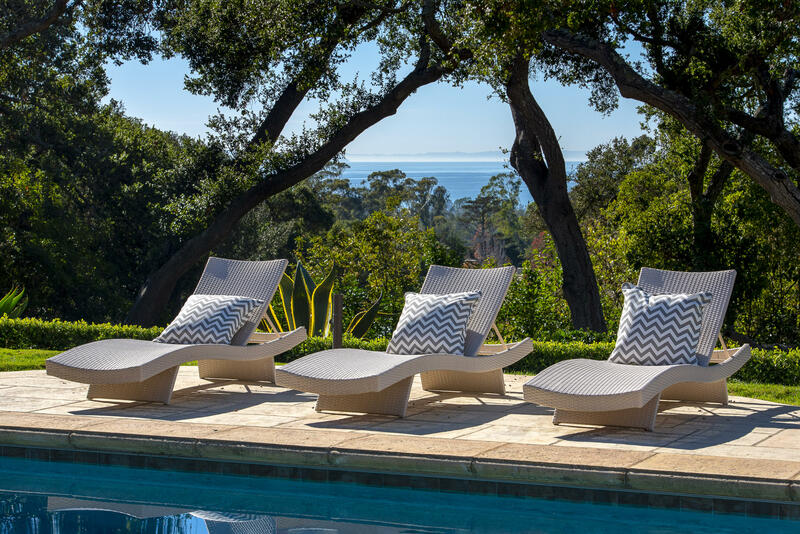 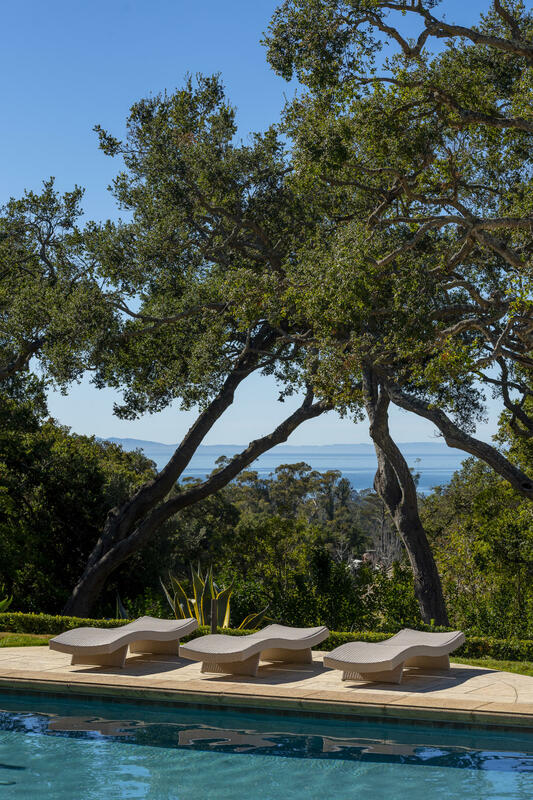 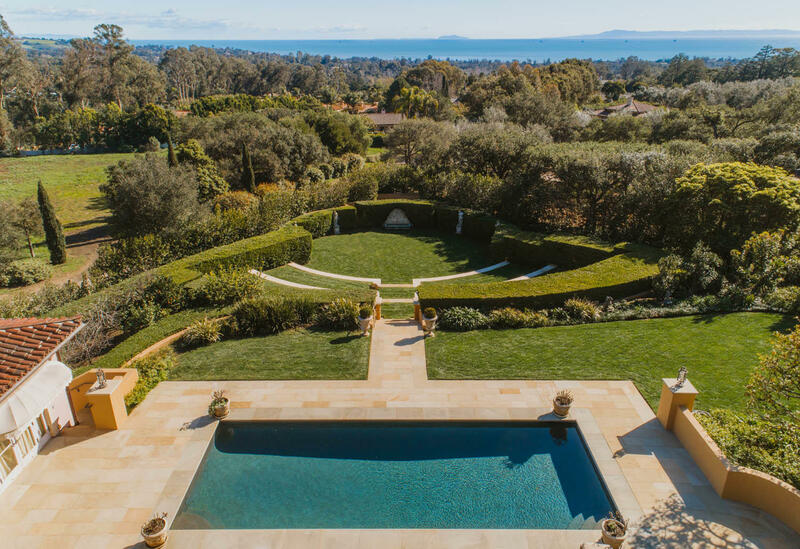 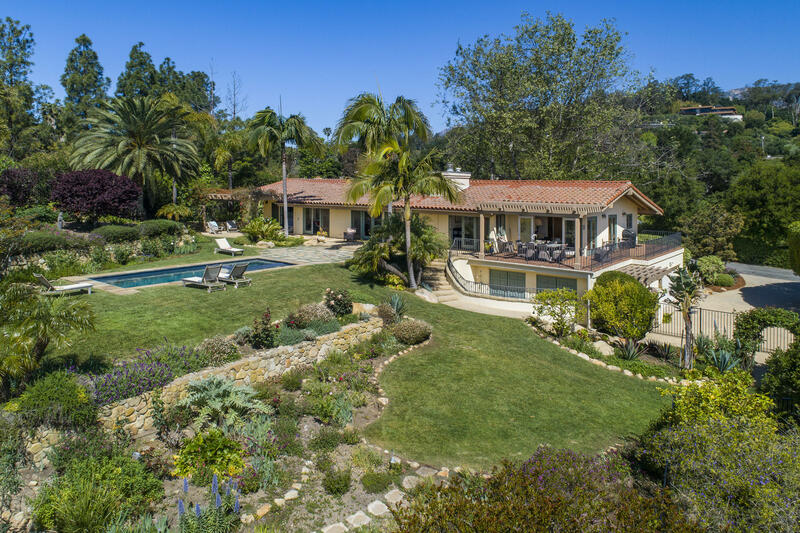 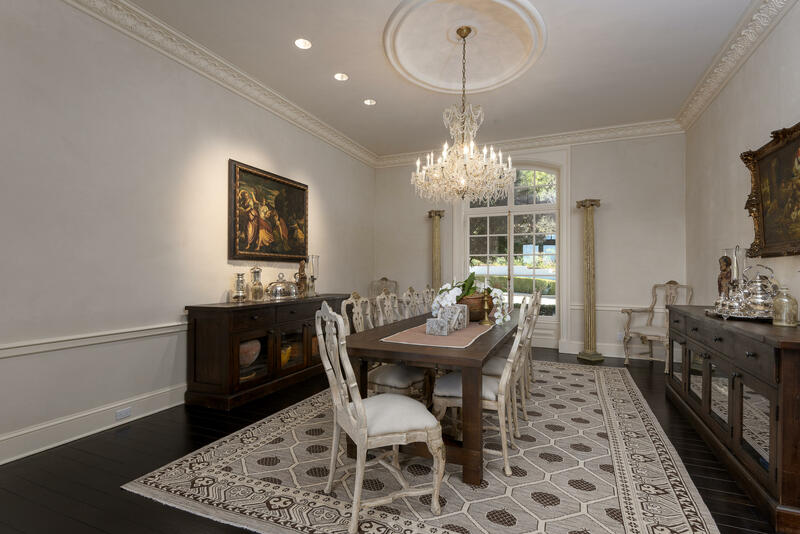 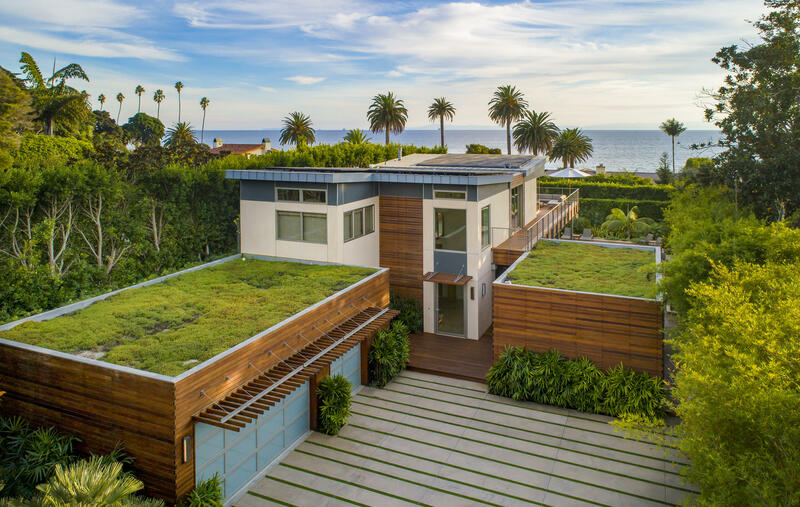 This immaculate Montecito home will make every day feel like paradise.